Science Applications International Corp. has been awarded a position on a National Institutes of Health IT modernization indefinite-delivery, indefinite-quantity contract with a $45 million ceiling. The multiple-award Health Business and Professional Support Services II contract has a 1-year base period and two 1-year options, and SAIC is one of 14 awardees providing a range of IT services and support. Specifically, SAIC will deliver business operations and professional support services. In whole, the contract allows customers to purchase services after requirements are set, so that NIH can be flexible with delivery scheduling. And though the contract will primarily be used by NIH, it may be used by other portions of the Health and Human Services Department and federal agencies, according to the news release. 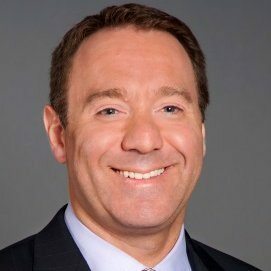 “This is a strategic win in support of the Department of Health and Human Services and NIH Centers of Excellence (CoEs) to advance their IT modernization initiatives and deliver improved services to the public,” said Bob Genter, executive vice president and general manager of SAIC’s Civilian Markets Customer Group. Genter added SAIC is tailoring its solutions to meet NIH’s needs.